These free size beauties, handmade in Morocco, display exquisite quality from the style to the fabric to the French-finished seams. A fabulous set in a stunning color... at a special price! 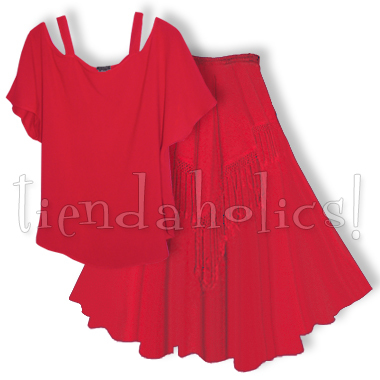 For measurements and further details about this top see our TANTAN page; for the skirt, the FANEEDA page.